Strode Funeral Home has been serving and caring for families making funeral arrangements in the Stillwater, Payne County and surrounding areas for over 120 years. Strode Funeral Home's commitment to the families we have the honor of serving is to provide a dignified funeral service which meets the needs and exceeds the expectations of the family and at a reasonable price. 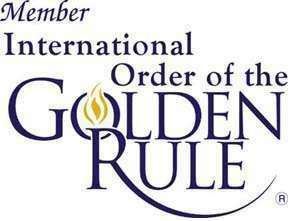 We are invited members of the International Order of the Golden Rule and have received 17 consecutive Pursuit of Excellence Awards from the National Funeral Directors Association. Mike and Shannon Chace have recently opened the Chace Family Crematory located south of Stillwater at Sunset Memorial Gardens. Mike owns Sunset Memorial Gardens and is co-owner of Strode Funeral Home as well. These personal quotes are from families we have served over the years who have had some very kind things to say about Strode Funeral Home. We appreciate all comments, as they help us learn from our mistakes and expand upon the good we can do for those we serve.